Dr Antonysunil is a lecturer in Biochemistry, School of Science and Technology and has an interdisciplinary academic background in Nutriepigenomics, Medical Biochemistry, Cell & Molecular Biology and Epidemiology. She is the module leader of ‘Molecular Principles in Biochemistry’ (BIOL14407, level 4). She teaches on other modules such as ‘Introduction to Biochemistry’ (BIOL14404, Level 4), ‘Metabolism and its Control’ (BIOL22071, Level 4) and ‘Living Systems’ (BIOL14406, Level 4). She investigates the influence of micronutrients, particularly vitamin B12 on epigenetic changes leading to increased metabolic risk.She has honorary research contracts at the University of Warwick, Warwick, UK and at Department of Diabetes & Endocrinology, George Eliot Hospital, Nuneaton, UK. Dr Antonysunil after her Master’s degree in Medical Biochemistry from the University of Madras, India, did her PhD (2006) in the field of diabetes at Madras Diabetes Research Foundation, India. Her PhD focused on one of the large epidemiologic study (Chennai Urban Rural Epidemiology Study - CURES), involving a representative population of Chennai, India to elucidate oxidative damage in diabetes by analyzing biomarkers and mechanistic investigations. For her post-doctoral-fellowship, she moved to University of Essex, UK (2006) to continue the research in Diabetes related complications and subsequently to the University of Warwick (2007), where she developed a method to analyze protein oxidation biomarkers by liquid-chromatography-mass-spectrometry (LCMS) and B-vitamins by high-performance-liquid-chromatography (HPLC). In 2010, following her analytical expertise in both diabetes complications and nutritional biomarkers, she moved into an area of research on the investigation of gene-nutrient interactions on metabolic- and cardiovascular disease- related outcomes in delineating the potential epigenetic mechanisms of the micronutrient (vitamin B12) in lipid metabolism and cardiovascular risk. She investigated the role of B12 in cord blood and type 2 diabetes patients and the epigenetic effects of B12 in regulation of lipid metabolism in human adipocytes. These novel findings led her to investigate the potential mechanisms of B12 on placenta through an Early Career Grant, awarded from the “Society for Endocrinology (2014)”. 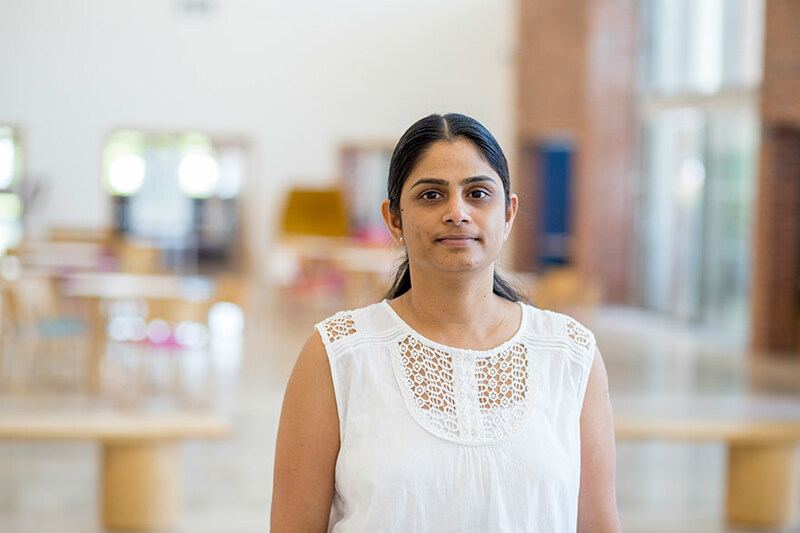 She also developed an assay for determination of one-carbon (1-C) metabolomics (LCMS) in a large cohort of 4750 multi-ethnic pregnant women (PRiDE study - MRC funded), to investigate the effects of early pregnancy B12 levels on the risk of gestational diabetes mellitus (GDM). This led her to secure a post-doctoral grant from “RoseTrees trust (2017)”to investigate the targeted 1-C metabolomics to predict GDM. In 2017, she joined the Nottingham Trent University. She believes understanding the role of micronutrients on the health of the mother and their babies would offer novel opportunities to reduce the risk of metabolic disease in next generation. Dr Antonysunil’s research focus is Nutriepigenomics, the study of food nutrients and their effects on human health through epigenetic modifications. There is now considerable evidence that nutritional imbalance during pregnancy is linked to non-communicable diseases, such as obesity, cardiovascular disease, diabetes, hypertension and cancer. If metabolic disturbances occur during critical time windows of development, the resulting epigenetic alterations can lead to permanent changes in tissue and organ structure or function and predispose individuals to metabolic disease. Studies have shown that micronutrient vitamin B12 deficiency is associated with growth restriction in the foetus, increased risk of GDM in the mothers, and adiposity and insulin resistance in the children, neuro-development, sub-fertility and cancer. She has reported in clinical studies that maternal B12 deficiency was associated with higher cord blood lipid levels, with adverse maternal 1-C metabolites and B12 deficiency in T2D patients being associated with an adverse lipid profile in both Europeans and Indians. Her basic studies have shown for the first time in an in vitro model of adipocytes that low B12 was associated with hypomethylation of cholesterol transcription factor and with adipose derived circulating miRs targeting PPARγ and insulin resistance. These important findings raise key questions which encompasses her main research interests. “Opportunities arise to carry out postgraduate research towards an MPhil / PhD in the areas identified above. Further information may be obtained on the NTU Research Degrees websitehttps://www.ntu.ac.uk/research/research-degrees-at-ntu” or please email Adaikala Antonysunil. BBA – Molecular and Cell Biology of Lipids.